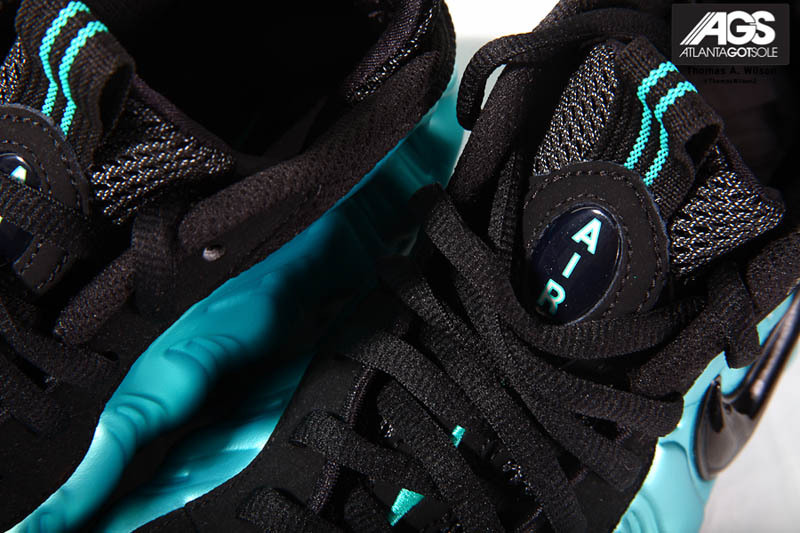 A detailed look at the teal Air Foamposite Pro dropping this July. 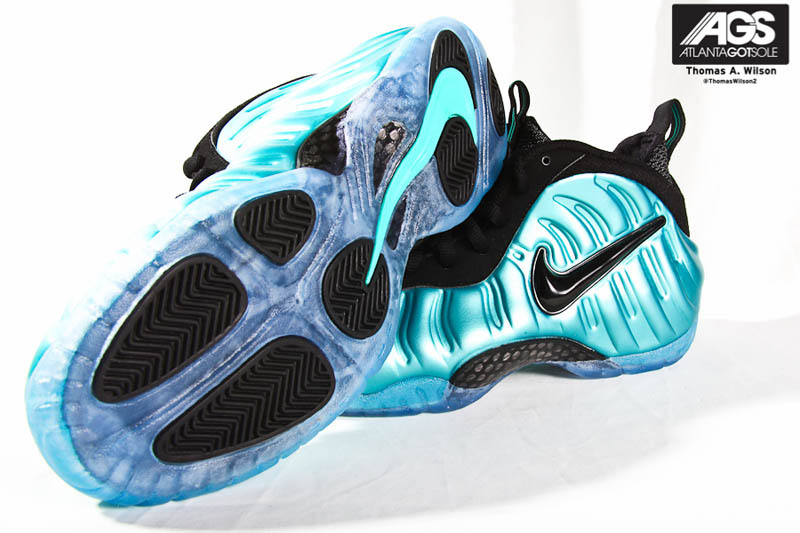 The Foamposite Pro family will grow by one in July when this "Retro" colorways his retailers across the world. 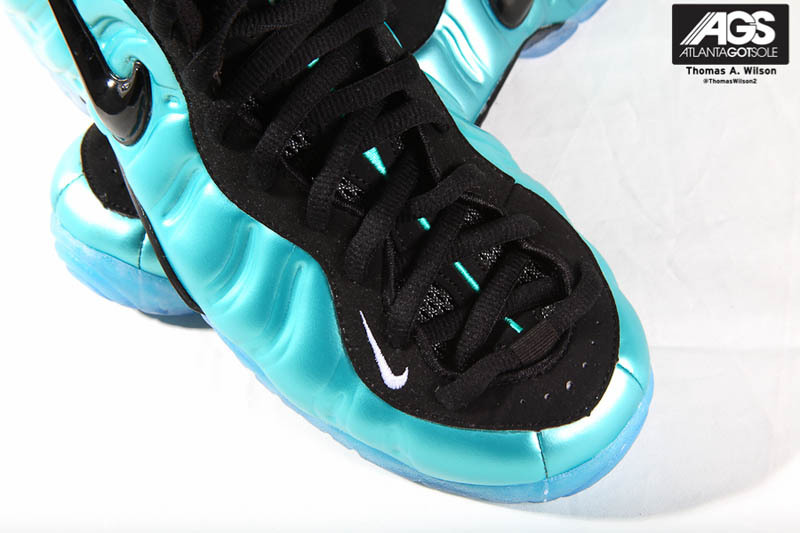 Already the recipient of some "South Beach" pink lace swapping, this colorway features a frosty light blue foam shell with standard black nubuck running along the eyestay and midfoot. 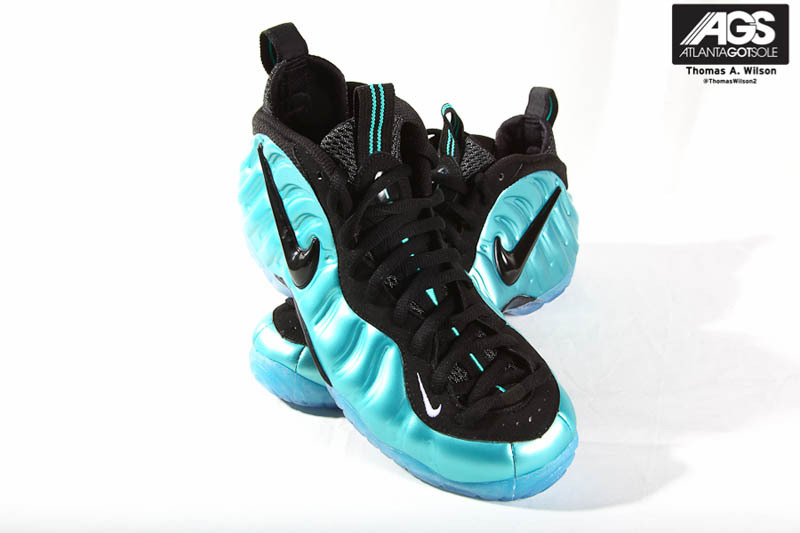 The large Swoosh on the side panel is also done in black, while the same logo is embroidered in white on the forefoot and retro on the heel. 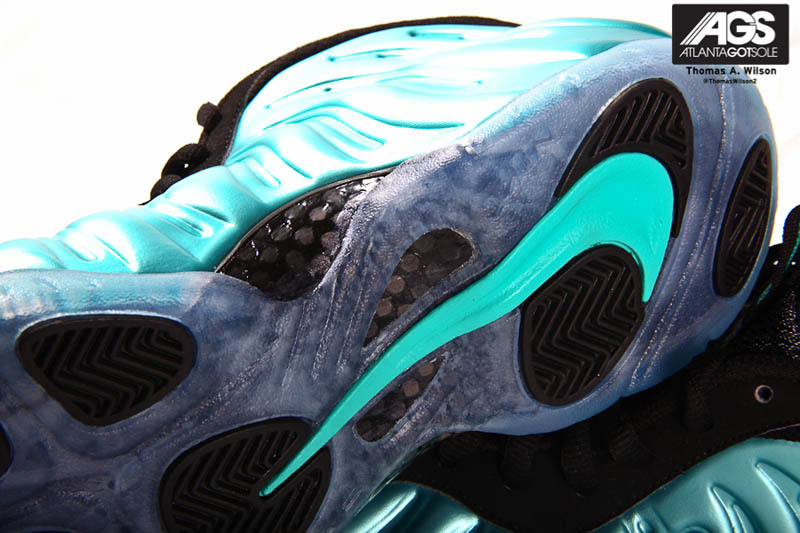 Adding the finishing touch below is an icy blue-tinted translucent outsole. 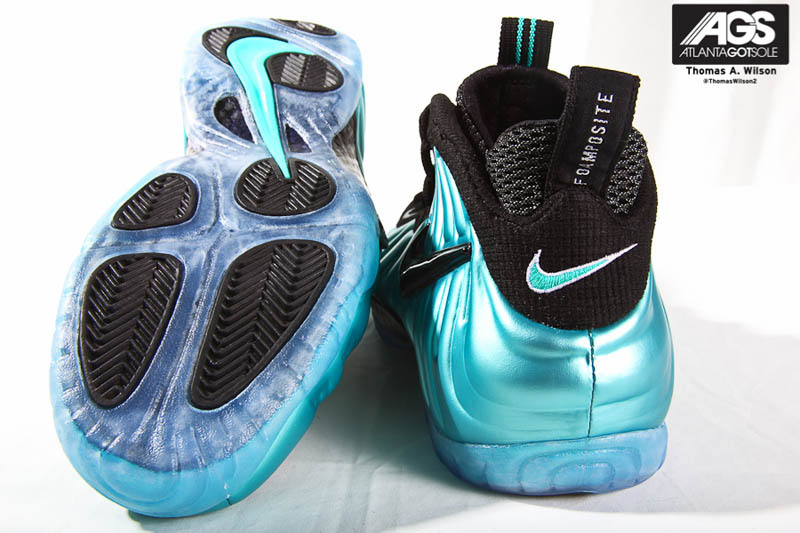 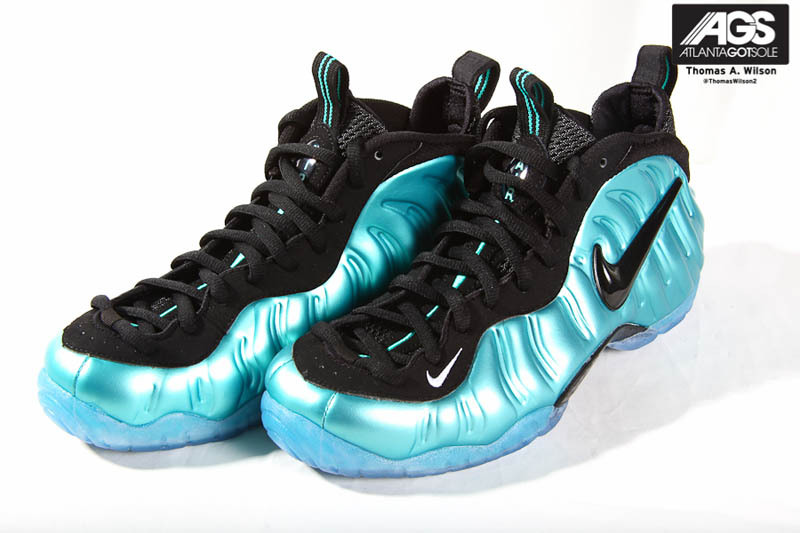 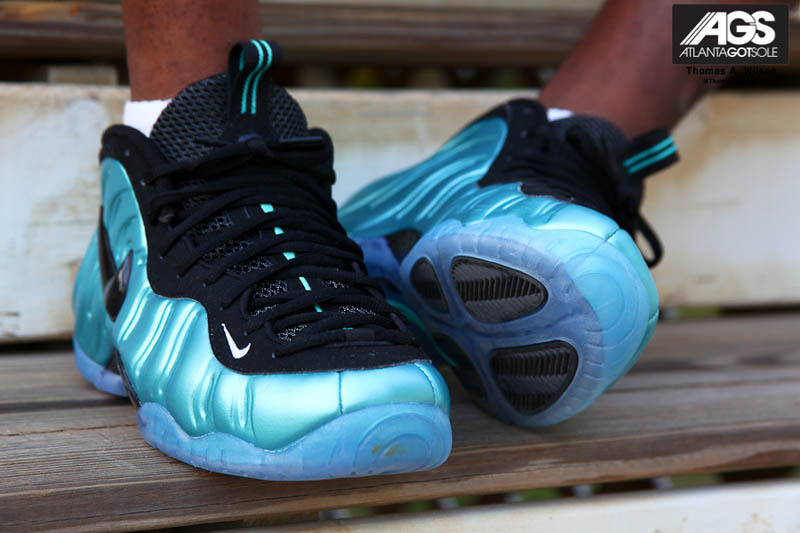 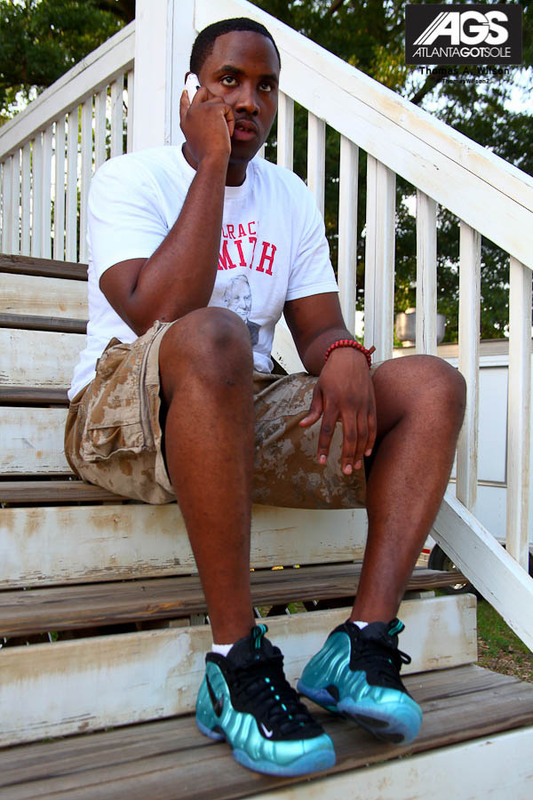 Stick with Sole Collector for more coverage on this already popular Foamposite Pro.